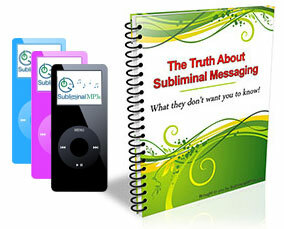 Subliminal audio can help you naturally start conversations with just about anyone! Do you get nervous at just the thought of walking up to a complete stranger and striking up a conversation? Do you envy friends who seem to be able to carry on conversations with just about anyone, anywhere at anytime? Do you feel insecure and awkward when meeting new people? Do you want to be able to start conversations naturally with ease? You can become more outgoing and eager to talk to just about anyone you want by simply listening to our subliminal messages. Can it really be that easy? Sure it could but you have to want the changes to happen and really commit to changing and improving yourself. We've done the hard part for you by carefully selecting the right subliminal messages to change your beliefs. These messages communicate directly to your subconscious mind. In order to get you to naturally start conversations everywhere you go, the reprogramming needs to happen on a much deeper level. Your conscious mind is the part of you that analyzes everything and can be very difficult to change from that level. So subliminal audio literally sneaks past your conscious mind and goes straight to your subconscious level where it’s a lot easier to create change. The positive changes take place without your conscious awareness and with repeated listening you will find yourself ready to go out and meet new people and naturally starting conversations. So if you listen everyday, you're going to notice your ability to start conversations is suddenly a lot better than ever before. You're going to feel compelled to go over and start talking to perfect strangers. The more you act on the feeling to meet and talk to people the faster you'll experience permanent changes. Confident in approaching others and starting conversations naturally and you'll enjoy the effect this has on others and how it makes them want to get to know you better. Comfortable having conversations with all kinds of people in a variety of situations. You will experience the fun and excitement of making new friends from all walks of life and your awkwardness will become a thing of the past! Secure and a natural conversationalist. You’ll be able to have meaningful conversations without feeling awkward or out of place. You’ll finally know how great it feels to be in full control of yourself! Overall, you will stop thinking of how awkward conversations can be. You will stop worrying how to start conversations, and how insecure you feel when meeting new people. Instead you will see the excitement in meeting someone new, and start to naturally enjoy the process of finding out about them and their life. Your whole perspective will gradually change as you continue to use this album. You will become more naturally extroverted and outgoing, and stop struggling to think of conversation starters - instead conversation will come much more naturally to you. Download this subliminal audio mp3 today and begin starting conversations naturally like you wouldn’t believe possible!